Martin Bader is a Partner in the Intellectual Property Practice Group in the firm's San Diego (Del Mar) office. Martin is an intellectual property litigator. He has obtained numerous high profile victories for high technology clients at trial and on summary judgment in the District Courts throughout the United States. 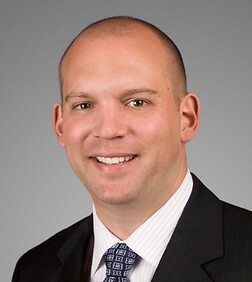 He also has significant experience in conducting post-grant proceedings before the United States Patent and Trademark Office (USPTO), including as lead counsel in Inter Partes Reviews (IPRs) and Ex Parte Reexaminations, and has been named as one of the "Top Attorneys in the PTAB" for his IPR filings. Martin has served a range of key roles in high-profile trials, including as one of the lead trial lawyers in the TCL v. Ericsson case where he obtained a major victory on behalf of TCL. In that case, TCL sought a FRAND license to Ericsson's 2G/3G/4G SEP portfolio and the Court ultimately set rates between four to twelve times less than Ericsson was demanding. This case was named a Milestone Case of the Year by Managing Intellectual Property magazine as it was the first case to ever value a large SEP portfolio. He has also litigated over a dozen other cases relating to Standard Essential Patents (“SEPs”), including a complete defense jury verdict in the Eastern District of Texas. Martin has an Electrical Engineering degree and has litigated patents and conducted post-grant proceedings before the USPTO involving many diverse technologies, including the 2G, 3G, and 4G wireless standards, LTE, GSM, GPRS, EDGE, CDMA, WCDMA, UMTS, WiMAX, HSPA, Wi-Fi, GPS, CDMA2000, Bluetooth, GPS, USB modems, Video and Audio compression, wireless modems, Multi-media Messaging Service (MMS), Internet systems, web-browsers for wireless devices, software, Android OS, liquid crystal displays (LCD), and televisions. He has litigated many cases relating to Standard Essential Patents ("SEPs") and/or FRAND commitments made to standard setting bodies. Martin is also a registered patent attorney and counsels clients on intellectual property protection strategies, prosecutes patent applications and trademark registrations before the USPTO. He represents clients in Inter Partes Reviews, patent reexamination proceedings, and trademarks oppositions before the USPTO, and conducts IP due diligence for corporate transactions and acquisitions. He has filed dozens of petitions for Inter Partes Review in connection with concurrent patent infringement actions related to cellular technology, including 3G, 4G technology, location based services, the Android operating system and others. Martin also manages the filing and prosecution of patent applications for companies ranging from startups to those that are well-known Fortune 100 companies in a wide variety of technology areas, including biometrics, medical devices, telecommunications, modems, video compression, LCD, analog and digital electronics, communications systems, network systems, GPS, computer software, Internet, radar systems, semiconductor, electro mechanical systems, mechanical systems, signal processing, and software. Evolved Wireless v. HTC (Delaware) Represents HTC Corporation and HTC America, Inc. in a five-patent lawsuit relating to standard essential patents (“SEPs”) alleged to cover the LTE standard. HTC has also asserted a counter-claim for breach of contract alleging that Evolved Wireless has failed to license its patents on Fair, Reasonable and Non-discriminatory (“FRAND”) terms. Rosetta Wireless v. HTC (N.D. of Illinois) Represents HTC Corporation and HTC America, Inc. in a patent lawsuit relating to storage of data files in mobile wireless devices. Intellect Wireless v. HTC (N.D. Ill.) Represents HTC Corporation and HTC America, Inc. in a two patent lawsuit relating to sending pictures to a paging receiver. The accused technology is multimedia messaging service (MMS). After a four day bench trial, the court found the patents were unenforceable due to inequitable conduct. On appeal, the Federal Circuit affirmed. Subsequently, we obtained an award of $4.1 million for reimbursement of HTC's attorneys' fees and costs against both the Plaintiff and its attorneys. Wi-LAN v. Alcatel (E.D. Tex.) Represented HTC Corporation and HTC America, Inc. in a multi-patent lawsuit relating to 3G cellular technology, including HSDPA, HSUPA, and HSPA. After a six-day jury trial, obtained a complete defense verdict that HTC did not infringe the asserted patents and all of the asserted claims were invalid as anticipated and/or obvious. Parallel Networks, LLC v. Abercrombie & Fitch Co. (E.D. Tex.) Represented Sony Corporation of America and Sony Electronics Inc. as lead counsel in a patent lawsuit relating to executable online applets downloaded over the Internet. We obtained summary judgment of non-infringement on behalf of Sony and the case was dismissed with prejudice. TCL Communication Technology Holdings v. Telefonaktiebolaget LM Ericsson and Ericsson Inc. (C.D. Cal.) Represents TCL Communication in breach of contract and declaratory judgment action relating to FRAND and the IPR policies of ETSI and 3GPP relating to alleged Standard Essential Patents (“SEPs”) for 2G GSM/GPRS/EDGE, 3G UMTS and 4G LTE technology. Ericsson Inc. and Telefonaktiebolaget LM Ericsson v. TCL Communication Technology Holdings, et al. (E.D. Tex.) Represents TCL Communication and TCT Mobile in a five patent infringement action relating to patents Ericsson’s has alleged cover aspects of cellular phone hardware and the Android OS. Gehegan v. Union Bank (S.D. of Cal.) Represented Union Bank as lead counsel in an infringement action Copyright infringement for alleged use of training materials. The case was resolved during mediation on very favorable terms. Private Label Nutraceuticals v. Vox Nutrition (District of Utah) Represented Plaintiff Private Label Nutraceuticals as lead counsel in an action for trademark infringement and Cybersquatting. The case was resolved after the Defendant Vox Nutrition agreed to transfer certain websites at issue in the case to my client. Intellect Wireless v. HP/Palm (N.D. Ill.) Represents Hewlett-Packard and Palm in a two patent lawsuit relating to sending pictures to a paging receiver. The accused technology is multimedia messaging service (MMS). Obtained summary judgment of no direct infringement and an award for reimbursement of our clients' attorneys' fees and costs. Ivera Medical Corporation v. Excelsior Medical Corporation (S.D. of Cal.) Represented defendant in patent infringement litigation related to needleless access valves. Court granted summary judgment of invalidity in favor of defendant Excelsior Medical Corporation. Internet Patents Corp. v. Active Network, Inc., the General Automobile Insurance Services, Inc., Permanent General Assurance Corp. of Ohio, QuinStreet, Inc., and Tree.com (Court of Appeals for the Federal Circuit & California, Northern Dist.) Represented Tree.com in successfully invalidating asserted patent on Internet-browser functionality on an early motion to dismiss and sustaining favorable judgment on appeal. Honeywell v. Samsung SDI and Samsung Mobile Display (D. Del.) Represented Samsung SDI and Samsung Mobile Display. On summary judgment, we invalidated the asserted patent relating to LCD modules based upon the on-sale bar after most of the industry licensed the patent-in-suit. On appeal, the Federal Circuit affirmed. We are currently seeking reimbursement of Samsung's attorneys' fees and costs. Freeny, et al. v. HTC America, Inc. (E.D. Tex.) Represented HTC America, Inc. in a four patent infringement lawsuit involving a multiple integrated machine system performing multiple digital functions from a single operating system. Favorable settlement reached. LendingTree v. Zillow, et al. (N.D. N.C.) Represents LendingTree in an antitrust and patent infringement lawsuit involving a method and computer network for coordinating a loan over the Internet. Successfully defeated antitrust claims brought against LendingTree. The case is currently on appeal. Smartphone Technologies v. TCL Communication Technology Holdings and TCT Mobile (E.D. Tex.) Represented TCL Communication and TCT Mobile in a four patent lawsuit relating to PDA processors and operating system interfacing, and URL transmission and decoding. MLR, LLC v. TCL Communication Technology Holdings Limited (E.D. Va.) Represents TCL Communication in a four patent infringement lawsuit involving Wi-Fi enabled and broadband-capable portable handsets. NovelPoint Tracking LLC vs. Hyundai Motor America (E.D. Tex.) Represented Hyundai Motor America in patent lawsuit relating to GPS-based multimedia navigation systems. Negotiated favorable settlement for client in early stages of litigation. Wi-LAN v. HTC (E.D. Tex.) Represented HTC Corporation and HTC America, Inc. in a multi-patent lawsuit relating to Wi-Fi, LTE, Wi-MAX and CDMA2000 (EVDO Rev. A) technologies. Obtained favorable settlement. NovelPoint Tracking v. TCT Mobile (E.D. Tex.) Represented TCT Mobile in a patent lawsuit relating to GPS technology. Obtained favorable settlement. Millennium Labs v. Ameritox (S.D. Cal.) Represented Millennium labs in a Lanham Act action for Trade Dress infringement. Wi-LAN v. Apple (E.D. Tex.) Represented HTC America, Inc. in a multi-patent lawsuit relating to Wi-Fi, HSPA, LTE and CDMA2000 (EVDO Rev. A) technologies. Novatel Wireless v. Franklin Wireless (S.D. Cal.) Represented Franklin Wireless, Inc. in a four patent lawsuit relating to wireless modems, USB modems, and Wi-Fi. Golden Bridge v. HTC (D. Del.) Represented HTC Corporation and HTC America, Inc. in a two patent lawsuit relating to WCDMA 3G technology. Case was dismissed after summary judgment and trial victories in related cases. Wi-LAN v. PCD (E.D. Tex.) Represented Personal Communication Devices, LLC (PCD) in a two patent lawsuit relating to Wi-Fi and CDMA2000 technologies. Obtained an extremely favorable settlement for PCD after filing three motions for summary judgment on PCD's behalf. UO! IP of Delaware v. HTC (D. Del.) Represented HTC Corporation in a two patent lawsuit relating to language translation devices. Successfully negotiated an early license on extremely favorable terms. Datascape, Inc. v. Kyocera Wireless (N.D. Ga.) Represented Kyocera Wireless in a six patent infringement action. The accused technology relates to data communications and Internet access in wireless devices. Mediatek v. Sanyo (E.D. Tex.) Represented Mediatek in a three patent lawsuit and obtained a favorable settlement valued at over $200 million by our client. The asserted patents related to integrated chipset solutions for conversion of television display signals, audio encoding, and compression of video and audio data in video cameras, DVD recorders and cellular phones. Datascape, Inc. v. Sony Ericsson (N.D. Ga.) Represented Sony Ericsson in a six patent infringement action. The accused technology relates to data communications and Internet access in wireless devices. Apcon v. MRV Communications (C.D. Cal.) Represented MRV Communications, a leading provider of telecommunications equipment. After Apcon threatened MRV's customers and sued MRV for patent infringement, we countersued with claims of patent misuse, inequitable conduct, and unfair competition. Within 10 months, Apcon surrendered its patent suit by agreeing to a no payment walk-away settlement and agreed to issue a press release stating that MRV's products do not infringe any Apcon patent and that MRV's customers can conduct business without fear of reprisal from Apcon. TCL Corporation et al. v. Telefonaktiebolaget LM Ericsson, No. IPR2015-1583. Lead counsel representing Petitioner TCL in challenging the validity of U.S. Patent No. 6,418,310, a patent directed to the control programs for wireless communication devices. Petition was instituted on all asserted grounds and all challenged claims were invalidated. TCL Corporation et al. v. Telefonaktiebolaget LM Ericsson, No. IPR2015-1584. Represents Petitioner TCL in challenging the validity of U.S. Patent No. 6,029,052, a patent directed to multimode direct conversion receiver circuitry. Petition was instituted on all asserted grounds and all challenged claims were invalidated. TCL Corporation et al. v. Telefonaktiebolaget LM Ericsson, No. IPR2015-1600. Represents Petitioner TCL in challenging the validity of U.S. Patent No. 6,029,052, a patent directed to multimode direct conversion receiver circuitry. Petition was instituted on all asserted grounds and all challenged claims were invalidated. TCL Corporation et al. v. Telefonaktiebolaget LM Ericsson, No. IPR2015-1602. Represents Petitioner TCL in challenging the validity of U.S. Patent No. RE43,931, a patent directed to contact-sensitive transducers for controlling a GUI on a mobile phone. Petition was instituted on all asserted grounds and all challenged claims were invalidated. TCL Corporation et al. v. Telefonaktiebolaget LM Ericsson, No. IPR2015-1605. Lead counsel representing Petitioner TCL in challenging the validity of U.S. Patent No. 7,149,510, a patent directed to access control for application software. Petition was instituted on all asserted grounds. TCL Corporation et al. v. Telefonaktiebolaget LM Ericsson, No. IPR2015-1622. Lead counsel representing Petitioner TCL in challenging the validity of U.S. Patent No. 7,149,510, a patent directed to access control for application software. Petition was instituted on all asserted grounds. TCL Corporation et al. v. Telefonaktiebolaget LM Ericsson, No. IPR2015-1628. Lead counsel representing Petitioner TCL in challenging the validity of US Patent No. 7,149,510, a patent directed to access control for application software. Petition was instituted on all asserted grounds. TCL Corporation et al. v. Telefonaktiebolaget LM Ericsson, No. IPR2015-1637. Represents Petitioner TCL in challenging the validity of U.S. Patent No. RE43,931, a patent directed to contact-sensitive transducers for controlling a GUI on a mobile phone. Petition was instituted on all asserted grounds and all challenged claims were invalidated. TCL Corporation et al. v. Telefonaktiebolaget LM Ericsson, No. IPR2015-1641. Represents Petitioner TCL in challenging the validity of U.S. Patent No. RE43,931, a patent directed to contact-sensitive transducers for controlling a GUI on a mobile phone. Petition was instituted on all asserted grounds and all challenged claims were invalidated. TCL Corporation et al. v. Telefonaktiebolaget LM Ericsson, No. IPR2015-1646. Represents Petitioner TCL in challenging the validity of U.S. Patent No. RE43,931, a patent directed to contact-sensitive transducers for controlling a GUI on a mobile phone. Petition was instituted on all asserted grounds and all challenged claims were invalidated. TCL Corporation et al. v. Telefonaktiebolaget LM Ericsson, No. IPR2015-1650. Lead counsel representing Petitioner TCL in challenging the validity of U.S. Patent No. 6,535,815, a patent directed to using quality-of-service parameters in A-GPS for mobile terminals. Petition was instituted on all asserted grounds and all challenged claims were invalidated. TCL Corporation et al. v. Telefonaktiebolaget LM Ericsson, No. IPR2015-1674. Represents Petitioner TCL in challenging the validity of U.S. Patent No. RE43,931, a patent directed to contact-sensitive transducers for controlling a GUI on a mobile phone. Petition was instituted on all asserted grounds and all challenged claims were invalidated. TCL Corporation et al. v. Telefonaktiebolaget LM Ericsson, No. IPR2015-1676. Represents Petitioner TCL in challenging the validity of U.S. Patent No. RE43,931, a patent directed to contact-sensitive transducers for controlling a GUI on a mobile phone. Petition was instituted on all asserted grounds and all challenged claims were invalidated. TCL Corporation et al. v. Telefonaktiebolaget LM Ericsson, No. IPR2015-1761. Represents Petitioner TCL in challenging the validity of U.S. Patent No. RE43,931, a patent directed to contact-sensitive transducers for controlling a GUI on a mobile phone. Petition was instituted on all asserted grounds and all challenged claims were invalidated. TCL Corporation et al. v. Telefonaktiebolaget LM Ericsson, No. IPR2015-1772. Lead counsel representing Petitioner TCL in challenging the validity of U.S. Patent No. 6,535,815, a patent directed to using quality-of-service parameters in A-GPS for mobile terminals. Petition was instituted on all asserted grounds and all challenged claims were invalidated. TCL Corporation et al. v. Telefonaktiebolaget LM Ericsson, No. IPR2015-1806. Lead counsel representing Petitioner TCL in challenging the validity of U.S. Patent No. RE43,931, a patent directed to contact-sensitive transducers for controlling a GUI on a mobile phone. Petition was instituted on all asserted grounds and all challenged claims were invalidated. TCL Corporation et al. v. Telefonaktiebolaget LM Ericsson, No. IPR2015-1878. Lead counsel representing Petitioner TCL in challenging the validity of U.S. Patent No. 6,535,815, a patent directed to using quality-of-service parameters in A-GPS for mobile terminals. Petition was instituted on all asserted grounds and all challenged claims were invalidated. HTC Corporation, and HTC America, Inc. et al. v. Evolved Wireless LLC No. IPR2016-00758 representing Petitioner HTC in challenging the validity of U.S. Patent No. 8,218,481 was instituted on all asserted grounds. HTC Corporation and HTC America, Inc et al. v. Evolved Wireless LLC No. IPR2016-01310 representing Petitioner HTC in challenging the validity of U.S. Patent No. 7,768,965 was instituted on all asserted grounds. HTC Corporation and HTC America, Inc et al. v. Evolved Wireless LLC No. IPR2016-00757 representing Petitioner HTC in challenging the validity of U.S. Patent No. 7,881,236 was instituted on all asserted grounds. HTC Corporation and HTC America, Inc et al. v. Evolved Wireless LLC No. IPR2016-01208 representing Petitioner HTC in challenging the validity of U.S. Patent No. 7,746,916 was instituted on all asserted grounds. HTC Corporation and HTC America, Inc et al. v. Evolved Wireless LLC No. IPR2016-01227 representing Petitioner HTC in challenging the validity of U.S. Patent No. 7,746,916 was instituted on all asserted grounds. Inter Partes Request No. 95/001,814. Represented Third-Party Requester in challenging the validity of U.S.Patent No. 7,310,416, a patent relating to sending pictures to a paging receiver. All claims cancelled by the PTO. Inter Partes Request No. 95/001,177. Represented Third-Party Requester in challenging the validity of U.S.Patent No. 7,266,186, a patent relating to sending pictures to a paging receiver. All claims cancelled by the PTO. Ex Parte Request No. 90/012,899. Represented Third-Party Requester in challenging the validity of U.S. Patent No. RE37,802, a patent directed to a MultiCode Sequence Spread Spectrum for cellular technology. Ex Parte Request No. 90/012,072. Represented Third-Party Requester in challenging the validity of U.S. Patent No. 7,266,186. All asserted claims asserted in litigation cancelled by the PTO.